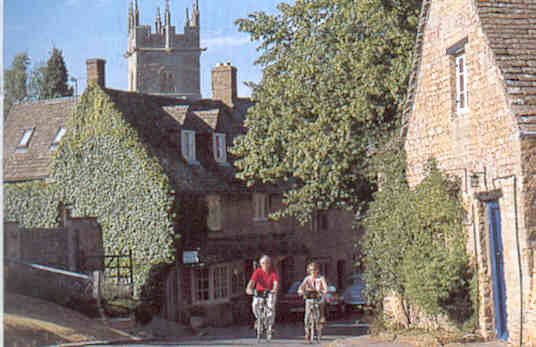 Longborough is a pretty Cotswold village between Moreton-in-Marsh and Stow-on-the-Wold. There is a pub, a village shop and 13th century church. The name 'Longborough' comes from a prehistoric barrow (burial mound) at the top of the hill, so it should really be 'Long Barrow'. Our church has bell ringers who ring on Sunday and practice on Wednesday nights. They welcome visitors. In the summer months the Longborough Opera is on which is very popular. Many footpaths are in the area with beautiful walks through fields and rolling hills. This is a wonderful part of England to visit gardens. Stratford-upon-Avon is 30 minutes, Bath 60 minutes, Warwick Castle 30 minutes. Sudeley Castle 20 minutes. London/Paddington Station is 90 minutes by train from Moreton-in-Marsh.